After another hard week at work, it was wonderful to have family come to me this weekend, which of course meant that we went to the beach today. It was overcast, and the water was a little chilly, but oh, so wonderful and relaxing anyway. Although I didn’t grow up anywhere near Daytona Beach, and never went there before moving to DeLand, every time I go, it feels like home. It feels like nostalgia to me, full of memories. Maybe some of that comes from reading books about beaches with boardwalks, and from watching TV shows with similar themes. But there are actual memories mixed up in some of it. 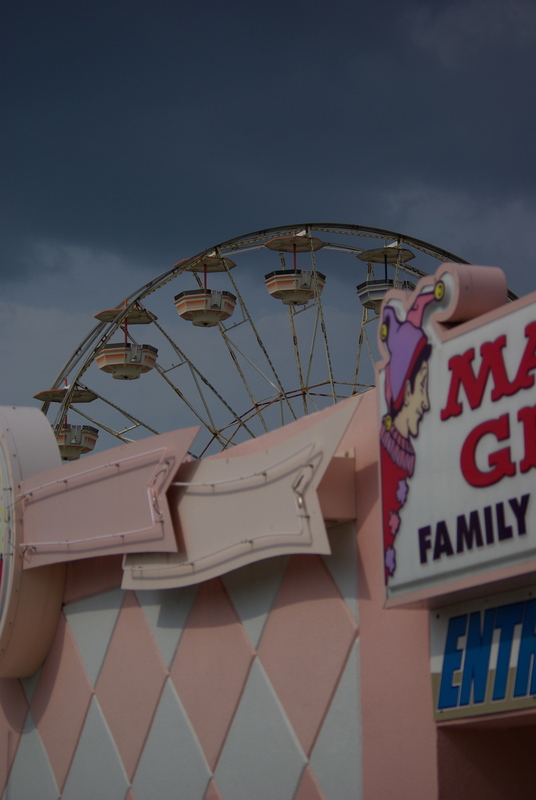 When I was a little girl, every once in a while the carnival would come to town and set up in the Montgomery Wards parking lot. 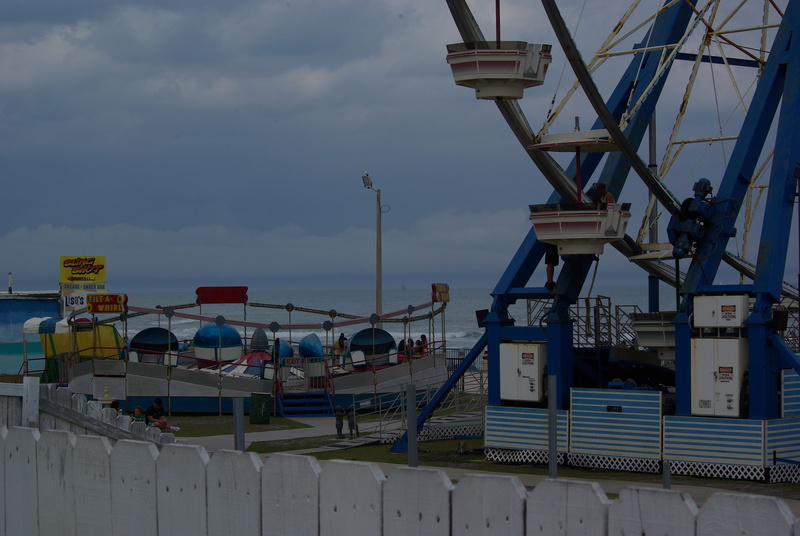 My sister and I would beg to go and ride on those rides, and usually we would get to ride one ride, or maybe two. My sister loved the Tilt-O-Whirl, while I always wanted to ride the Octopus. Somehow, she always seemed to win. When I finally did get to ride the Octopus, it turned out that I really didn’t like it at all. Carnival rides always remind me of those times with my sister. 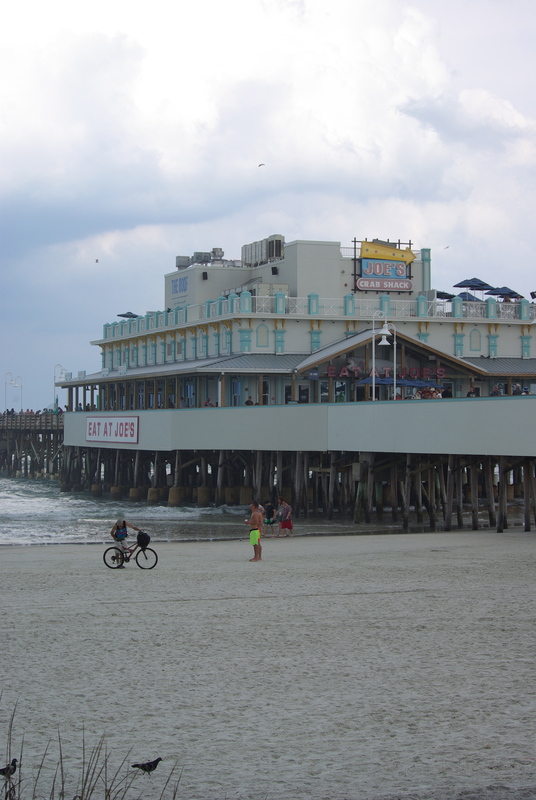 Sometimes, feelings of nostalgia can be painful and frustrating, but to me, Daytona Beach feels fulfilling in its nostalgia, like I am in simpler times. Given how stressful my job has been lately, that simplicity is always welcome. 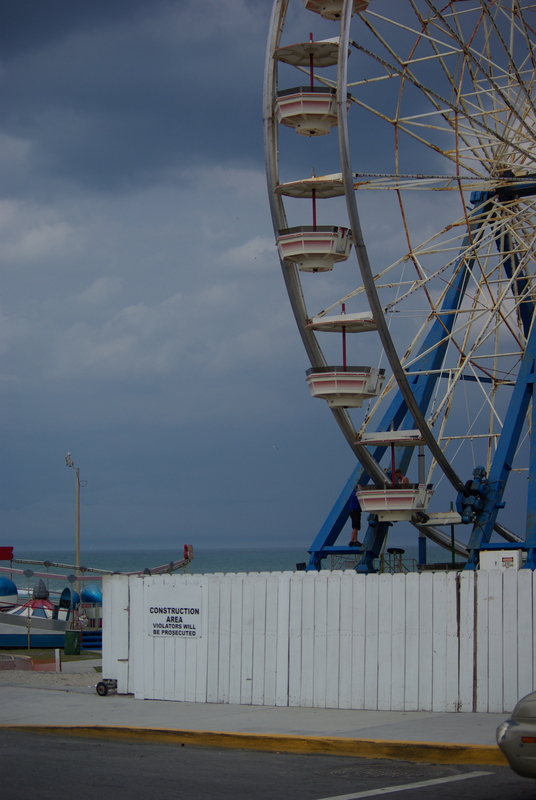 I used to ride the Tilt-a-Whirl at the Jackson County Fair every year. It was the only ride that didn’t make me sick. 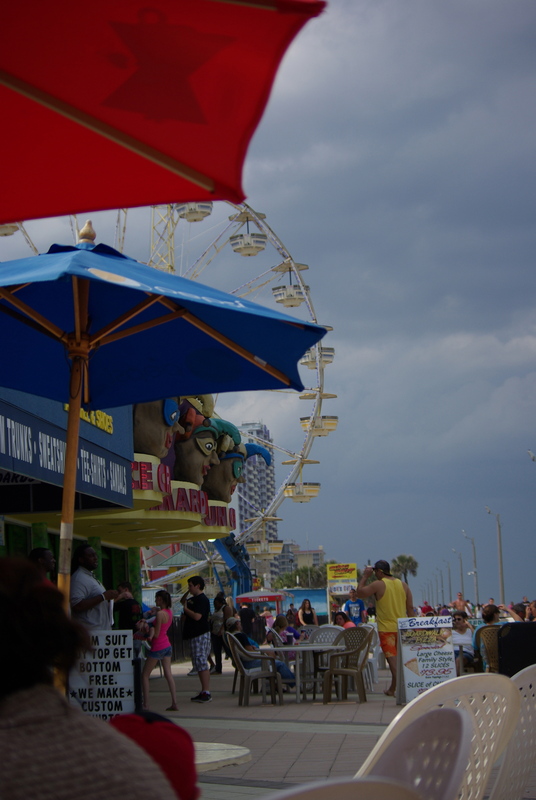 You’re right about the nostalgic feel of seashores and boardwalks. Cool post and photos. Funny, it always did make me feel slightly sick, but I kept riding it anyway. Thanks! Daytona does have an old school feel to it. Some of those rides need a little makeover, but then again they do bring a sense of nostalgia since they have not been updated for so long. Nice shots! I can’t imagine the rides are making enough money to pay for a makeover, but they could use it!